Just days after an Ethiopian Airlines flight diverted from Addis Ababa to St. John’s, Newfoundland, Canda played host to second diverted flight. Passengers on board Swiss Air flight 7003, en route from Zurich to Los Angeles, landed at the tiny Iqaluit Airport in Canada’s arctic Nunavut territory. The plane made the unplanned landing after an engine shut down and received a malfunction warning partway into the flight. Swiss Air made the decision to divert the plane as a precautionary measure, according to the Nunatsiaq News. The airport, which is considered a port of entry into Canada, is staffed with a small complement of Canadian Border Services Agency (CBSA is the Canadian equivalent of CBP in the U.S.) staff, but typically the airport handles small aircraft with a passenger load of no more than 15 passengers. The airport, however, does have a landing strip long enough to land the space shuttle. 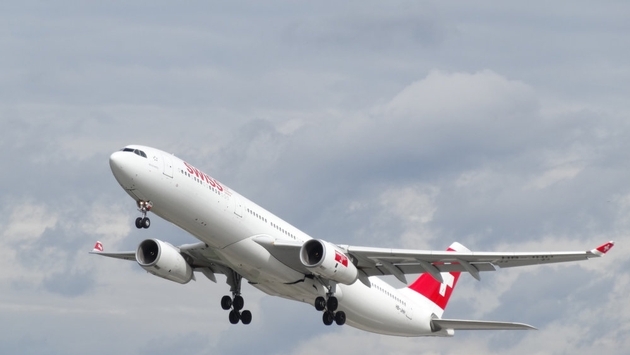 According to the Nunavut Tourism website, it is often used to test cold weather landings for many of the world’s newest large-capacity aircraft, so there was plenty of runway to land Swiss Air’s A333 aircraft safely. All passengers were “well and unharmed” according to a statement by Swiss Air. Plane spotters in the northern territory braved the chilly weather and boarded their skidoos to capture footage of the event. Iqaluit Mayor Madeleine Redfern initially tweeted that passengers would be fed and taken—in shifts—on a tour of the city, but she later tweeted an update that passengers would remain on the plane as they waited for a replacement plane. Read more: Igloo building to drum rhythms, Canadian aboriginal experiences you want to miss in 2017. The passengers, who landed at 3 p.m., were eventually picked up by a replacement plane from New York and departed the arctic at 5 a.m.